The year 2013 saw many developments in the Google’s core ranking algorithm. Major updates like Hummingbird along with Panda and Penguin refreshes took place in 2013. These updates forced the internet marketers to think differently and creatively. The old school seo marketing strategies were packed up giving way for new and better ones in order to boost up the marketing efforts in 2014. Here are 5 effective strategies on which you need to lay the foundation of your overall SEO strategy in 2014. Keyword based seo strategy is growing old. The new way to market your content is by thinking about the topics on which your customers would be interested. Google has made changes in the way it processes the search queries. The recent Hummingbird update backed with the power of “KnowledgeGraph” has made Google think semantically. This means Google will now try and understand the context of the query before presenting the final results to the users. A thorough knowledge of semantic analysis would be required in the same manner as Google has. Creating content focused around topics instead of keywords will provide the maximum benefit. Also, writing content in a conversational manner will become essential. OKR stands for Objectives and Key Results. I have seen a majority of seo companies only focusing on getting rankings without working on identifying major objectives and results that will help to fulfill those objectives. 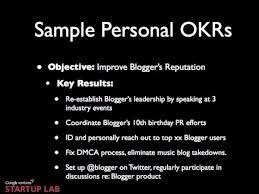 I would strongly suggest all the internet marketers to create their OKR sheet in order to identify their objectives along with the key results that would enable those objectives to get fulfilled. OKR is not a new term for the Silicon Valley majors. Companies like Intel and Google have already implemented OKR’s in their work strategy. OKR’s are great because work becomes easier and more user focused when you know your objectives. All Google employees need to maintain their own personal OKR sheet to better judge themselves. It was first introduced by Rick Klau for improving the reputation of blogger.com. All the key results mentioned on his OKR sheet hinted at improving the overall user experience and publizing the platform by taking part in seminars and promoting PR activities. Anything which is not tested should not be implemented on a larger group of people. Google offers so many FREE testing tools in Analytics and Webmasters like the AB Testing, Multivariate Testing, Page Speed Insights tool, Universal Analytics etc which can be used for testing and better serving the users. SEO’s and inbound marketers need to understand the purpose for which the users are visiting the website. WebPages should be tested and analyzed before the final launch. This would help to enhance the user experience and gather user love. Social media is set to play an inseparable role in every SEO marketing strategy. 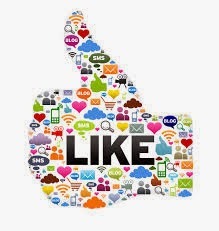 Brands should have an excellent social media presence especially on sites like Google Plus, Facebook, Twitter, LinkedIn etc. Google always puts greater focus on its users and stuffs loved by users are always loved by Google. Being active on social media platforms is one of easiest and most preferred ways of getting social love. Although Google has not publicly accepted that Google Plus helps in ranking but they are certainly a great way to judge the quality of content that are loved and shared by people. One thing that has remained constant all through the path of the career of an SEO is the focus on content. Content has been King in the past and will remain to be in the future. But, Google has allowed several ways to enhance the presentation of content to its users. Webmasters who are making use of several techniques made available to Google for better presentation of their site’s content have already experienced high rankings and traffic to their site. As far as the quality of content goes, it needs to be comprehensive and conversational. The LSI (latest semantic indexing) and TF-IDF(Term frequency and Inverse Document Frequency) score should not be ignored. These are great metrics that are still utilized by Google in order to determine the relevancy of a web page. The presentation of content is as important as having quality content. Here are some of the elements you can implement in order to present your content in a user friendly manner. Google Authorship – Google has greater plans to move from anonymous web to known web and for that it has made the use of author snippets in its search results. The search snippets returned by Google now contains author information. Webmasters have already witnessed a greater Clickthrough rate by displaying their author information in the search results. However, due to increased spamming and misuse of the authorship markup, Google now plans to display only genuine and reputed author information in the search results. Author rank which is based on metrics like the quality of content, the number of plus ones and social media shares the content receives, the number of positive comments the content receives along with the DA (Domain Authority) of the domain where the article is published all plays an important role in making an author genuine and trustworthy in the eyes of Google. In 2014, having author information as a snippet will make your website look trustworthy and will help to increase the number of clicks your site receives. Hence, work towards implementing authorship and increasing your author rank. Rich Snippets – Google has been increasing the importance of rich snippets to make the search snippets more user friendly. There are many forms of rich snippets that can help the user to understand the contents of your web page. Some of them are recipe snippets, reviews and ratings snippets, event snippet, products snippets etc. The display of rich snippets also rests with the decision of Google. You need to add the snippet markup and work to increase the domain popularity of your site in order to enable the display of rich snippets associated with your site in the search results. Schema Vocabulary- Addition of Schema vocabulary like microformats, microdata and RDF helps the search engines to better understand the contents of a web page. Rich snippets are also a part of Schema Meta data. You can increase the relevancy of your site and better serve your users by adding Schema data associated with every element of your web page. 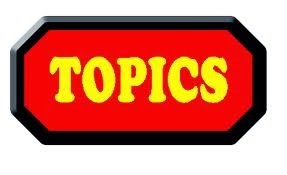 Schemas can be added related to books, movies, person, organization, place, local business, review, recipe etc. The Facebook OpenGraph Protocol is also a part of Schema vocabulary. Page Speed- The world is going mobile and one of the major issues which most of webmasters struggle to maintain is the speed of their site. Ever wondered why the world’s best IT companies prefer to have a simple website? The reason is the site speed and the browser compatibility. Opting for responsive design and maintain an excellent site speed are some of the essentials of getting good rankings. It is for this reason that Google offers a special Page Speed checker tool called the PageSpeed Insights that displays the current loading time of the page and also gives some recommendations for improving the overall page speed. Thus, there were some of the major factors that need to be taken care of before planning any SEO strategy in 2014 and ahead.